Boutique Hotel Catshuis is located in one of the most beautiful historical buildings on the Nieuwestad in Leeuwarden. The very wealthy Pieter Cats, merchant, politician and director, had the building designed in Empire style in 1806 by the Amsterdam architect Jan Maaskamp. Pieter Cats and his wife Rinske Cats-Heringa moved into this distinguished house in Leeuwarden in 1810. The name ‘Catshuis’ is still present in ornate, golden letters above the main entrance of Boutique Hotel Catshuis. In 1835 the parental home came into the ownership of daughter Sjuwke. 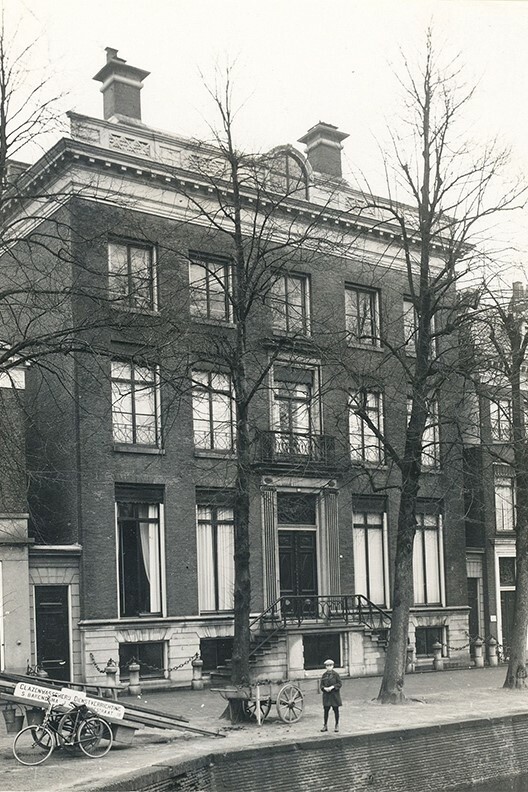 First she expanded the service buildings and the garden at Nieuwestad 49. Then, in 1846, she had the Nieuwestad 47 completely renovated as a carriage house with a stable and a house for the coachman. The communal alley with number 49 was covered so that the service areas outside the living areas and the main entrance could be reached. Last resident Maria Johanna (Jeanne) of Bieruma Oosting, granddaughter of Sjuwke and artist, sold the entire complex in 1933 to the municipality of Leeuwarden. City architect Justus Zuidema was commissioned to convert the buildings into the police headquarters and fire station. The basement underwent a radical renovation to accommodate both a cell complex, service spaces and a boiler house. The fire brigade moved into the coachman’s house at number 47. Berend Bronger and his son Jaap bought both buildings in 1982. Jaap Bronger is the current owner. Discotheek Fire has been a popular spot in the local nightlife for years. Since 2016, Amarins Bronger, daughter of Jaap, runs Boutique Hotel Catshuis at Nieuwestad 49. The rich Empire decoration is still present in the paneling, doors and ceilings of the impressive building. Fire Café is located at number 47, also owned by the Bronger family.